New York Times bestselling author Javier Sierra returns with a heartpounding, apocalyptic thriller about mankind’s most ancient desire—and the modern evil some will unleash to obtain it. 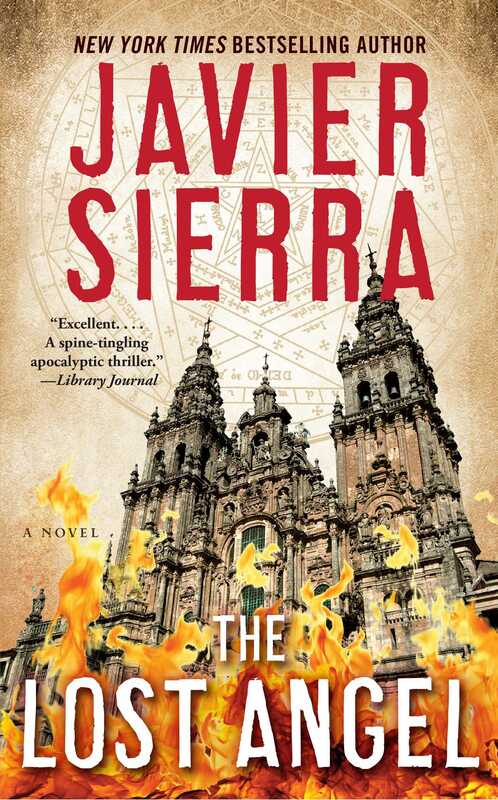 New York Times bestselling author Javier Sierra returns with a heart-pounding thriller about mankind’s most ancient desire—and the modern evil some will unleash to obtain it. For some strange reason, I had my mind made up the day I died, my soul would leave my body and float weightlessly to heaven. I was convinced that once there, guided by an irresistible force, I would come face-to-face with God and I would look into his eyes. And in that moment, I would understand it all. My place in the universe. My origins. My destiny. And even why he gave me a gift for perception that was so . . . unique. This is how my mother had explained it to me when I asked her about death. So did the priest of my church. They both knew how to quiet my restless Catholic soul. I envied their determination in defending all that had to do with what was on “the other side,” life after death, and the nature of our existence. And now I was starting to understand why. On the evening of that first day in November, I was, of course, not dead. But nevertheless, I found myself face-to-face with the Creator. His giant face stared back at me serenely, his body more than fifteen feet tall, his arms spread wide, inviting, as I hovered inches from his nose. Manuel Mira, the head of security for the Cathedral of Santiago de Compostela, shook me out of my trance with a yell from below. He had spent the afternoon watching me set up my scaffolding and rigging around the statue of Christ in the Pórtico de la Gloria, the Portico of Glory, atop the archway just inside the church’s westernmost façade. And now that his shift had ended, I think he worried about leaving me there alone, dangling and at the mercy of ropes and pulleys he didn’t understand. In truth, he had nothing to worry about. I was in excellent shape, an expert with these harnesses, and the alarm in this wing of the cathedral alerted security every time I climbed down from my scaffolding, usually before midnight. “It’s not safe to work in a place so secluded,” he said to himself, but loud enough so that I could hear him. “Don’t worry about me, Manuel. I don’t plan to have my last rites said for me here,” I said with a smile, without turning from my work. Manuel, who was at least twenty years older than me and had a daughter my age, tipped his cap and gave up his warnings as a lost cause. Besides, he knew that given my present situation—dangling from a second-story height, enraptured with my work, wearing safety goggles and a hard hat crowned with LEDs and emblazoned with the logo of the Barrié de la Maza Foundation, tethered to a PDA and to the wall just below the statue of Christ—it was better to just let me be. My work required surgical precision, nerves of steel and total concentration. “Good night,” I said, appreciating his concern. I couldn’t even bother to smile. I was holding a $60,000 endoscope designed in Switzerland specifically for this work. Death, despite my earlier daydreams, was still a long way off. After months of writing articles about how to preserve masterworks of the Romanesque period, I knew I was on the verge of being able to explain the deterioration of one of it’s most important sculptures. What did I care that it was All Souls’ Day—the Day of the Dead? Deep down, I saw it as a fortunate coincidence. For centuries, pilgrims had traveled the Way of St. James, the oldest and most journeyed spiritual pilgrimage in Europe, to visit the very sculptures I was analyzing in the shrine to St. James at the Cathedral of Santiago de Compostela. They made this trek to revive their faith, reminding themselves that to cross under this archway meant ending their sinful life and beginning another one that was more sublime. And that’s how it received its name, the Pórtico de la Gloria, the pathway to heaven. The more than two hundred sculptures here truly were a collection of immortals, an army impervious to man and time. And yet, since the year 2000, some inexplicable disease was causing these statues to crumble. Isaiah and Daniel, for example, seemed to be peeling in layers, while the musicians strumming their instruments above them threatened to come crashing down in chunks, had we not reinforced them. Heralding angels, characters from the book of Genesis, sinners and the convicted—all of the sculptures showed worrisome signs, a darkening, an aging that seemed to be sapping the life from them. Not since the time of the Crusades had anyone examined these sculptures as closely as I had. The Barrié Foundation thought they had been damaged by humidity, mold or bacteria. But I wasn’t so sure. That’s why I came back here after hours when there were no tourists to wonder why I was obscuring the masterworks with my maze of scaffolding. And, of course, when there were no other experts to challenge my ideas. Because I had another explanation. One so controversial it had brought me nothing but trouble. I was the only one of our crew who had grown up nearby, in a town along the Costa da Morte. And I knew—or rather, I felt in my bones—that there was more to the rapid crumbling of these ancient works than merely some strange lichen or acid. Unlike my colleagues, I didn’t let my scientific background blind me to other explanations that were more . . . let’s say unconventional. Any time I mentioned concepts like tellurism, the power of Earth’s magnetism, or magnetic fields or earthly radiation, they rolled with laughter. “There isn’t any credible research on that,” they’d scoff. Luckily, I wasn’t alone in my supposedly wild ideas. The dean of the cathedral agreed with me. He was a crotchety old clergyman whom I’d grown to love. They all called him Father Fornés. But I called him by his first name, Benigno—Spanish for “benign.” I guess I just loved how it contrasted with his personality. He was the one who always stood up to the Foundation for me and encouraged me to follow my instincts. At about one forty in the morning, after I’d spent who-knows-how-long using the endoscope to probe each of the nine cracks our team had mapped, my PDA chirped three times, signaling it was finally transmitting data to the computer we had set up opposite the Pórtico. I breathed a deep sigh of relief. If everything went as planned, tomorrow the University of Santiago de Compostela would process the data from the stone in the department of mineralogy at its School of Geological Sciences. Then, thirty-six hours later, we could discuss the results. Tired but hopeful, I lowered myself and untied my harness to make sure the information was transmitting. We couldn’t afford any mistakes. I was relieved to hear the five-terabyte hard drive purring like a satisfied kitten, filling the cavernous room with a rewarding hum that put me in a good mood as it finished registering all the information—the topography of each crevice, the spectrographic analysis and the video files recorded by the endoscope. Everything seemed to be going according to plan. So with satisfaction at a job well done, I finally relaxed after untangling myself from my ropes, and started picking up my equipment. I fantasized about taking a hot shower, eating a hot meal and massaging lotion onto my tired muscles before curling up with a book to distract me. But destiny has a way of toying with our best-laid plans, and that night, it had something unexpected in store for me. Just as I disconnected the powerful headlamp and removed my helmet, a darting movement at the back of the church made me start. The hairs on the back of my neck stood on end as if the cavern had been charged with static electricity. The entire room—all of its ninety-six meters in length and its one hundred eighteen towering mullioned balconies—seemed to come alive with a “presence.” My mind tried to make sense of what I was seeing. In the depths of the cathedral, I imagined I saw a flash. A fleeting spark. Soundless. A glow that emerged from the ground and traveled a lighted path toward the center of the intersecting aisles about a hundred feet away. I’m not alone. My pulse quickened. A vast echo swallowed my words. I tried to stay calm. I knew this place like the back of my hand. And I knew where to go in case I had to make a run for it. 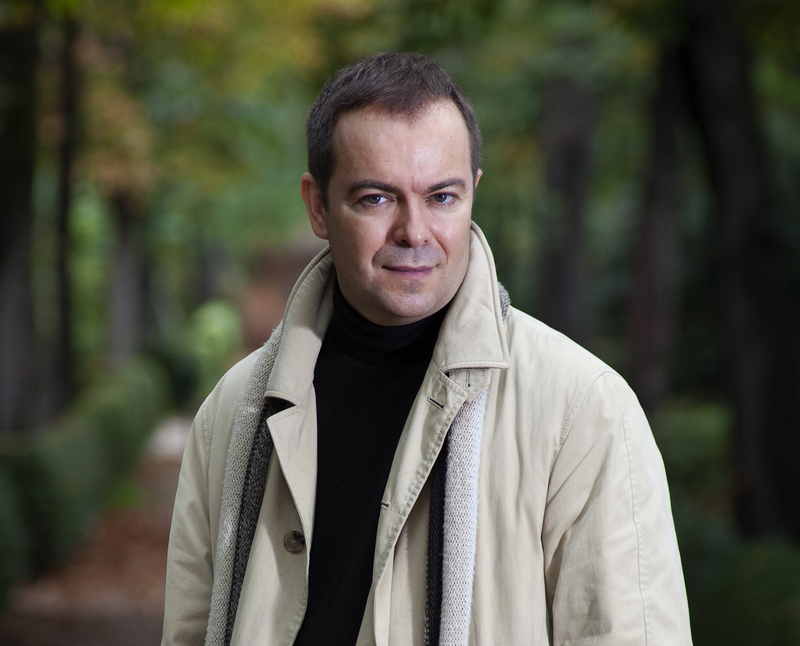 Besides, I had a cell phone and a key to the gate that led outside to the Plaza del Obradoiro. I had nothing to fear . . . I tried to convince myself that maybe I’d seen a flicker of light reflected from my metal lab tables into the moonlit cathedral. Sometimes, lights can play tricks on you. But I couldn’t convince myself. And I couldn’t manage to shake this feeling. That had not been a reflection in the strict sense of the word. Nor a lightning bug. Nor a falling ember from a church candle. As I peered into the cathedral’s shadowy darkness, it felt as if I were staring deep into the jaws of some massive whale. The emergency lights at the exits were scarcely enough to give shape to the leviathan. Without proper lighting, it was hard to even imagine where the altar was. Or, for that matter, the crypt. The gilded altar and the ornate wooden bust of St. James remained veiled in darkness. Should I dial the emergency number? I wondered as I rifled inside my pocket for my cell phone. What if this is all in my head? What if it’s some tortured, wandering soul . . . I shook that idea out of my head. I tried to keep the window of fear in my mind from opening even a sliver. Still, I couldn’t control the runaway pounding in my chest. There was only one way to face down the shaking inside me. I grabbed my coat and backpack, flipped on the LED headlamp and headed for the darkened area where I thought I’d seen the light. We onlyexorcise our demons when we face them head-on, I told myself. Still shaking, I headed up the aisle toward the transept of the cross-shaped church, praying all the way I’d find no one there. Saying my Hail Marys, I finally reached the door to the Plaza de Platerías, one of the cathedral’s main entrances, which, of course, was locked at this time of night. Rather, I almost ran into it. And yet, even seeing it up close, I couldn’t believe my eyes. The shadowy figure’s face was obscured by a black hood, like a monk’s. He looked to be rooting around for something he had just deposited at the base of the only modern statue in the entire cathedral, a sculpture by Jesús León Vazquez that marked the Campus Stellae. Thank God, he was skittish, not aggressive, as if he had just snuck into the church and was still trying to get his bearings. I should have turned and run and called the cops. Instead, maybe on instinct, or maybe because we locked eyes for a second, I built up the courage to open my mouth. The thief—at least, that’s what he looked like to me—casually stopped whatever he was doing, but not because I had scolded him. I saw him zip closed a black nylon bag as he turned toward me, as if he couldn’t care less who was watching him. Actually, it felt like he had been crouching there . . . waiting for me to find him. Unfortunately, it was too dark to make out his face. That’s when he mumbled something—something that shook my insides—in a language I didn’t recognize as he slowly walked toward me. Seeing my confusion, he formed the words once more, finally making them understandable—and equally disturbing.